Before you can consider flyball there are a few questions you have to ask yourself. Is my dog fit and agile? Does my dog like to retrieve tennis balls? Can my dog jump a foot high? If your German Shorthaired Pointer is like any I know then the answer is yes, yes and yes, then you’re halfway there. The basic idea is to send your dog in a straight line over four hurdles to hit a pedal on a box which then throws a tennis ball into the air which your dog has to catch (or not) and then return to you over the same four hurdles with the ball in its mouth. It sounds easy but don’t be fooled. There are many tricks your dog can play on you. 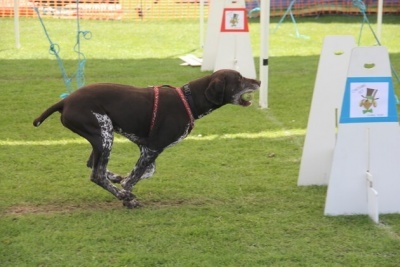 Once your dog understands the game then I’m sure like anything else a German Shorthaired Pointer does, it will give it’s all. 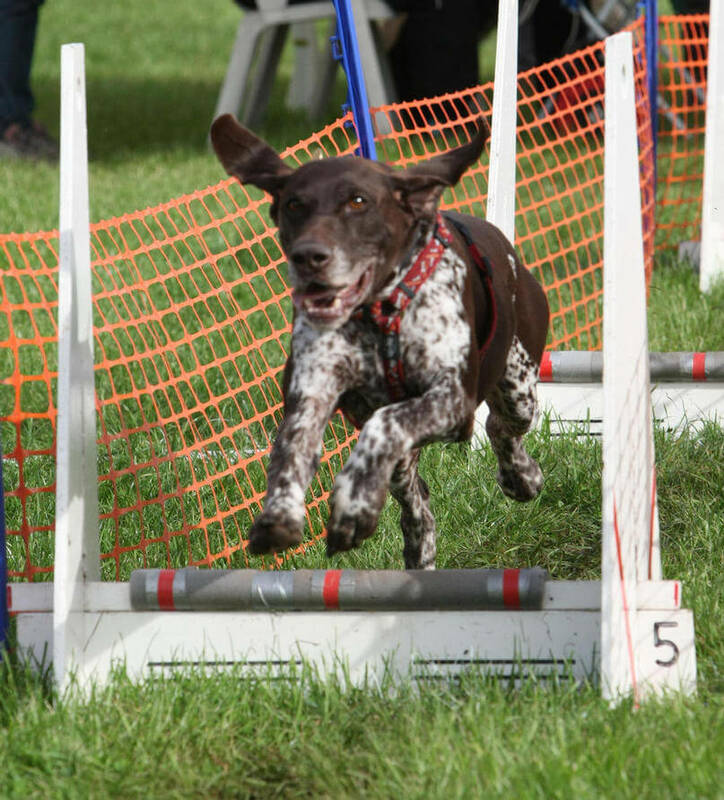 Flyball is a team event like a relay race with four dogs per team (so your dog must be OK with other dogs). It is also a speed game. When you get to competition level your team will compete against another team and the fastest one wins. As with most of these types of activity there are a lot of collie type dogs taking part, but any dog that is active and keen can become very good. It is a lot of fun and I’m sure your GSP will love it. Mine certainly does. To find your nearest club ask at your local dog training club or vets. If not, then the Kennel Club has a list of all registered clubs. So go on have a go and I’m sure you and your dog will have great fun.